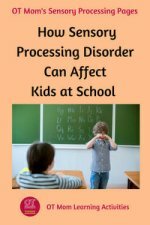 Sensory Processing Disorder (SPD) is a term that is becoming more and more familiar to teachers and parents. However, many people still don't fully understand what it is about or how it can affect day-to day life at home and at school. 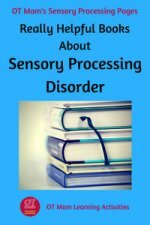 This page gives an overview of sensory processing, with some helpful links to more in-depth information and some helpful SPD books. Click on the quick links below to jump to the sections you want to read. Sensory Processing is a normal process that takes place in all of our brains. Without it, we would be unable to function effectively! and then sends the message for the body to respond appropriately. When the brain does not adequately process the information it receives from the senses, then the child may experience a disorder of sensory processing - also known as sensory integration disorder. 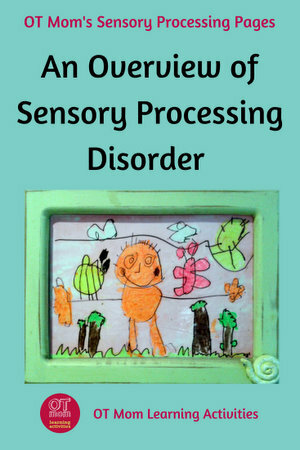 Experts in the field have written numerous excellent books on sensory processing disorder, and the various sub-types that children can present with. I often refer parents to those books for a more in-depth understanding. But for now, here is a quick overview of the different sub-types - and remember, a child may experience difficulties in more than one area! Sensory modulation is the ability to regulate, or modulate, the information that the brain is receiving from the senses, so that the amount of stimulation is just right - not too much, and not too little. a child who is over responsive to sensory stimulation, can easily become overstimulated or overwhelmed by the information coming from from any or all of the senses. This is often described as being sensory defensive, with some children being particularly sensitive to touch (tactile defensive) or sound (auditory defensive). a child who is lethargic and under responsive to the environment, may seem to have an attention deficit, when actually the brain is just not getting the stimulation it needs to engage properly with the lesson/environment. This child may appear to be lethargic and slow to get going, and could be under-responsive to sensory stimulation. some children are described as sensory seeking because their poor sensory processing means they excessively seek out sensory stimulation. These kids may be described as “hyper” and "hectic", always crashing, bumping, chewing, pushing, wiggling and jiggling, far in excess of what their peers engage in. In normal sensory processing, the brain receives messages from all the senses of the body and then works with the information to tell the body how to respond to the information. When the brain does not process information properly, and therefore does not send the right messages to the body, everyday physical (motor) tasks may be affected. Poor postural control: This child may struggle to sit upright at a desk, and may struggle with balance and many gross motor and fine motor tasks. 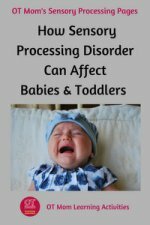 Before you rush into labeling your child or yourself, remember that sensory processing is a normal process we all experience, and we can all have good days and bad days. Sleep deprivation, poor nutrition, illness, and stress can all contribute to moments or days of poor sensory processing. Even PMS can make you feel like you are sensory defensive and heading for a meltdown!. What we are concerned about is a pattern of repeatedly struggling with the same issue over a period of time, to the degree that it affects your child's day to day functioning - eating, dressing, schoolwork, relationships etc. Sensory processing/integration disorder is usually diagnosed by an occupational therapist, and occupational therapy is usually recommended. Your occupational therapist will use sensory integration techniques that are designed to stimulate the appropriate sensory system and prompt the brain to process the information more effectively. 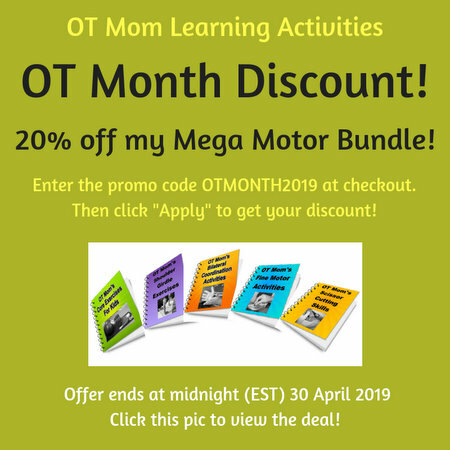 Your OT should also help you to identify and implement coping strategies and a sensory diet that will help your child at home and at school. If you suspect your child may have a sensory integration disorder, please request an appointment with an occupational therapist as soon as possible! It is important to recognize that sensory integration dysfunction cannot be cured with medication. It is a neurological issue and the underlying processing deficits can be addressed through intervention with sensory integration techniques. However, there are some helpful sensory integration activities and exercises that parents can do at home to support and help their children who are struggle particularly with sensory modulation. I also really recommend that parents and kids read at least one good book on Sensory Processing Disorder to better understand how to cope with daily challenges. You can also check out my page on Picky Eating and SPD! And last, but not least, a thought provoking article by Lemon Lime Adventures: 10 things to never say to a child with Sensory Processing Disorder! Weighted blankets, sensory toys, and lots more to help kids with SPD! This is an affiliate link and if you purchase something through my link, I will earn a small commission which helps to support my site! Thanks for reading this page - I hope it was helpful! Why not sign up for my occasional newsletter to be informed when new articles are posted on my site? Any Sleeping Tips For Kids With Sensory Modulation Issues? 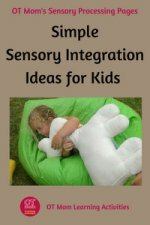 Classroom Tips for Sensory Kids?